It’s December again, and I’m thinking of death. The morning frost has sharpened each blade of brown grass as it juts upward toward an ashen sky. My garden is naked now—stripped of its green garments by my harvesting hands and by the killing frost. And the raised beds, warm and loamy in May, are like rows of new burial mounds—seven heaps of earth testifying to some terrible family tragedy. The month begins with memories of death. On an early December morning, my mother called to say that my brother’s heart, which had pumped steadily for thirty-nine years—through downhill skiing, engineering school, home construction, and caring for four young children—had suddenly sputtered and ceased while he slept. On an afternoon in this dark season, the mother of a college friend called to say the muscles pushing his lungs in and out, gradually weakened by muscular dystrophy, had stopped. On an evening in mid-December, sitting on a floral-patterned coach in a room charitably lit by a sparkling tree, our feet surrounded by torn wrapping paper, I wept a little with a friend, in memory of her college-aged son. A few weeks before, the signals from his brain to his organs, blocked by a tiny tumor on his brain stem, had halted. It’s December again, and I’m thinking of death, of mothers, and of sons. I think of mothers and sons in early December because of these women and their grief. Each year when the sky turns gray and the shadows lengthen, I remember that Elaine, Sheri, and Patsy weep. It must be a difficult season to be a grieving mother. It is a truism that the December holidays are cruel to those who mourn, but I imagine that they are particularly biting for a mourning mother. In this season, after all, images of joyful mothers and happy sons are omnipresent. A young woman holds a baby. She is dressed in blue; he is wrapped in white. She smiles; he lifts his hand in blessing. 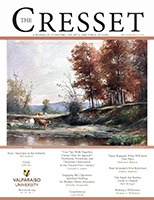 A man with a gray beard kneels nearby, with a donkey perhaps. It is an image imprinted on millions of reams of cardstock. We give this image to our friends and wish them happiness. It is printed on the postage stamps which we buy and affix to the envelopes to send those cards. The image of a mother holding a son is ubiquitous and comfortable. And lovely. And joyful. 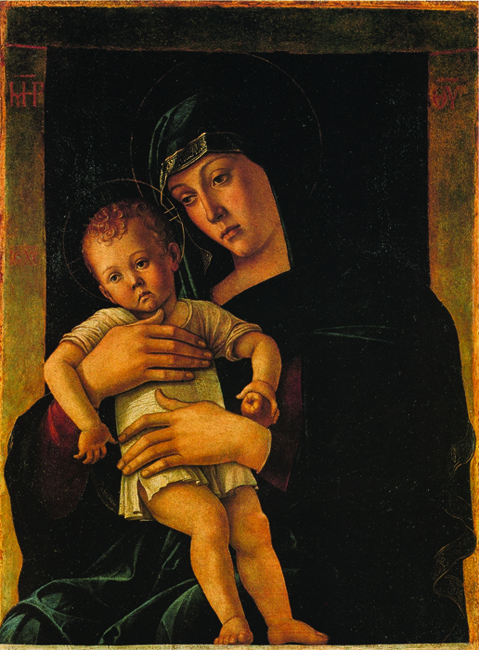 But at this time of year, I’m remembering grieving mothers, and so I prefer the Madonnas of Giovanni Bellini. Bellini was a Venetian painter of the Italian Renaissance. He had a long life and career, working into his eighties, and creating work in all the major genres of Renaissance painting: portraits, altarpieces, histories and saints’ lives, nudes, and a large of number of religious images intended for private devotion and meditation. Many of these images, destined not for churches and chapels, but for the homes of his patrons, are images of Mary and Jesus. I noticed one of Bellini’s Madonna and Child paintings in the National Gallery in London one winter because I had been thinking about death and grief, about mothers and sons. The painting is known as the Madonna of the Meadow; art historians particularly note Bellini’s treatment of landscape. The background imagery is detailed and realistic with peasants tending grazing cattle, a cluster of buildings, barren trees, carefully wrought clouds against a sky of varying degrees of blue and gray. A stork and a snake in the middle ground are engaged in some kind of symbolic battle. 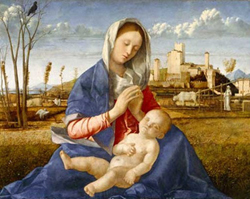 The Madonna, seated in a meadow in the foreground, conforms to the conventional type known as the Madonna of humility. She is seated on the ground rather than on a throne. Instead of a queenly figure, ruling heaven with her son, the king of heaven, she is meek, in contact with the earth and with her humanness, but the scale of the figure belies this humility. Within the scope of the image, she is huge, dominating the landscape and the attention of the viewer. 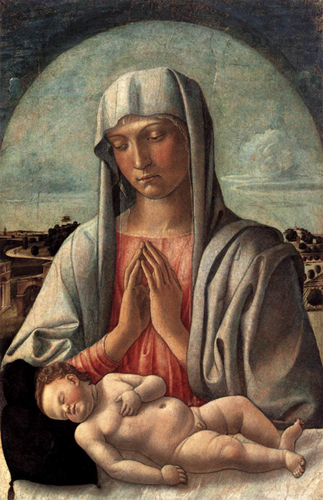 Her posture is demure, however, as she brings her hands together and looks down in prayer over her child. She does not look outward at the viewer, but inward, eyes closed in private prayer. The child who lies in her lap, supported by her upraised knee, is naked, vulnerable, and very human. His eyes are closed as in sleep. Or in death. When I see the image of this sleeping child, held by his mother, I cannot but think of another familiar image: the dead Christ, removed from the cross, his body limp in his mother’s arms. And Bellini is thinking of this too. This is not the first time that he has painted a Madonna with a sleeping child. In fact, he came back to this subject a number of times. His Madonna and Sleeping Child Enthroned places the baby in the exact same position he will use later for his Pietà. The pieta was painted at the same time as the Madonna of the Meadow and Bellini is working with landscape here too. This time, however, it is an older mother, her face lined with age, who lifts her knee to support her son and closes her eyes in private prayer. When Bellini paints a naked child, sleeping in his mother’s lap, he is intentionally invoking Jesus’ death. Bellini’s first known treatment of this subject is called the Davis Madonna. It was painted early in Bellini’s career and exhibits a number of the leading characteristics of his Madonna and Child portraits. It evokes a familiar Byzantine icon with Mary presented as a half-length figure, her hair fully covered by her wimple and her robe draped over her shoulder. She gazes downward upon the child and lifts her hands to touch fingertip to fingertip in prayer. The conventions of Byzantine iconography mean that Bellini expects that this image will be a subject of religious devotion. It is not to be gazed upon for mere aesthetic pleasure, but for the viewer to draw closer to God. The viewer of this image is to be reminded of essential theological truths. 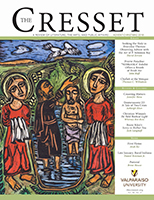 But what is the essential theological truth of a dead baby? This is not the meaning of the season. Christians affirm, in this season, that Jesus brings peace. Jesus brings light and hope. Jesus brings, above all, life. The celebration of Jesus’ birth is not about death. But it is. As I knew immediately when my first child was born, bringing a child into the world is birthing death. My children will die. I fervently hope that they will die long after I do, after happy and fulfilled lives. But by bringing them into the world, I opened the door to their deaths. Parents don’t like to think about this, and we rarely talk about it. Instead, we forbid our toddlers from climbing stairs and eating whole grapes and our teenagers from driving late at night with their friends. But eventually they will die, if not of falling, choking, or car-accidents, then of muscular dystrophy, brain tumors, or heart arrhythmias. And Mary, like all parents, knew this too. To hold a baby is to hold mortality in one’s arms. Mary, by accepting God’s commission to gestate this child and birth him, is also endowing him with humanness. And humanness implies death. This is the sword that pierces her heart. This is why she ponders. I don’t deny that Mary understood the divine paternity of this child, that he was miracle, that his conception was a rupture in the bedrock of earthly ordinariness. 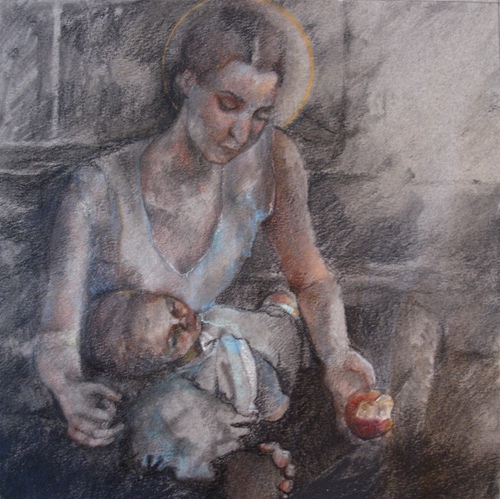 She may have understood that the child was God, though the angel didn’t say so explicitly. But she must have also understood that the vulnerability of his humanness meant that he would eventually die. The circumstances of this child’s death, of course, complicate my meditation on Mary’s ponderings. When we gaze on these portraits, we already know that this child does not die of drowning, or of cancer, or in a house fire. In many Bellini Madonnas, the subjects are arranged for half-length portraiture behind a parapet. The child sits, stands, or lies on a stone ledge. In the Davis Madonna, the child’s head is propped on a black pillow, but the rest of his body is laid out on a slab of cool, white marble. It is a convenient prop allowing Bellini to mimic Byzantine iconic conventions, but it also summons another image—the altar on which a parent lays his child for sacrifice, the terrifying story of Abraham and Isaac. Bellini is layering theological meaning with his layers of paint; introducing the idea of sacrifice introduces the idea of agency. This is not a passive woman grieving for a dead child, but a woman giving the gift of her body to enact the terrifying miracle of turning God into flesh. Mary births God for death. She does not yet understand how this all will unfold, but she knows what a fragile, temporary gift a human child is. Being human gives us a fearful amount of choice. This is one of those inescapable theological truths that Bellini, together with other painters of images for religious devotion, seems committed to proclaiming. Madonna and Child images, not infrequently, show Mary or Jesus holding a piece of fruit. 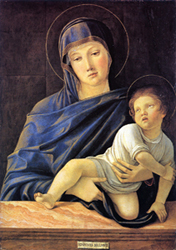 In Bellini’s Madonna Greca (cover image), both mother and son gaze sadly off-stage while he holds an apple, propped against her wrist. The apple brings to mind a scriptural allusion. He is, in the words of Elizabeth, the fruit of her womb. But the fruit also connotes the fateful fruit of the garden of Eden: the fruit of free will, offering humans the choice between obedience and rebellion. Mary is the new Eve, also given a choice. Mary, accepting her role as theotokis or God-bearer, is given the opportunity to offer the fruit to the new Adam who upends the fall, turning things right side up again. And Jesus doesn’t play a passive role either. He holds the fruit and the possibility of choosing a different path. Mary and Jesus both are making choices of cosmic significance. In Bellini’s Lochis Madonna, the child seems to struggle out of Mary’s arms, full of energy and intensity. Is he struggling to get away from his altar of sacrifice as his mother restrains him there? Or is she restraining him as baby and human child, as he struggles toward fulfilling his divine commission? Bellini’s paintings may show the frightening certainty of death, but they also show humans and God as actors in a drama. They are caught at one moment in that drama—hinting at a larger story, but halted, for our benefit. So we can pause and meditate on the full complexity of the narrative. That moment when organs stop pumping, when cellular activity ceases, when grief comes to the living, is just one moment. Glenn, Tony, and Kevin are dead, but Elaine, Patsy, and Sheri live. The mothers I remember in December, have continued on, not past their grief, but further into their continuing stories. This is not a Shakespearean tragedy that ends when the bodies are strewn across the stage. These women are Horatio from Hamlet and Edgar from King Learthe ones who must endure, putting the kingdom back together, after the curtain falls. In December, when I am thinking of death, when I’m thinking about mothers and sons, about life and mortality, about birth and grief, I think about the fact that I too am a mother, and a mother of sons. In my two sons’ bedroom hangs a Madonna and child drawing by Kelsey Harro. It’s a Madonna of humility with Mary seated on the ground, one bare foot exposed to view. In her hand, she holds a half-eaten apple. She’s not so much the second Eve in this image as the first one—fully human, despite her halo, and a full participant in humanity’s folly. The child is asleep. But unlike in Bellini’s paintings, he doesn’t look dead. He’s a sweetly sleeping baby, resting for a time, propped comfortably in his mother’s lap. This picture hangs in the room of my sons, because one of them is the model for the child. Even though I’m reminded of his fragility every time he climbs the neighbor’s apple tree, or careens down the street on his bicycle, I like to look at the picture to remind me that he is a participant in the drama of mortality. The drawing is a carefully wrought memento of his life and his eventual death. In December, I grieve with women who have witnessed the deaths of their sons: with Elaine, Patsy, Sheri. And with Mary. It’s a good time to grieve. We would do well to spend more time mourning with those who mourn. When the shadows lengthen and sky turns ashen, it’s a good time to remember the dust from which we came and the dust to which we return. The fruit falls from the tree and lies bruised and pungent in a cradle of leaf mold, where it slowly rots and decays. But this great, complex, mysterious drama, of course, doesn’t end in December. That fallen fruit, decomposing into compost, is the womb to warm the seed. There is a time to mourn, and a time to dance. Soon it will be April, and I will be thinking about resurrection. 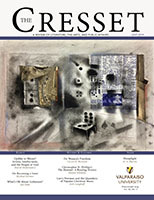 Susan Bruxvoort-Lipscomb is Assistant Professor of English at Houghton College.